The Central African Republic (CAR) is a country that has been unstable since its independence in 1960. Rife with a history of military coups and rebellion, the country has remained in a state of economics crisis, heavily impacting the nation’s institutional capacity to provide services and offer protection to the population. The country was further plunged into the depths of chaos in 2013 when Muslim Rebels from the Seleka group seized power in the majority Christian country. The Seleka handed the rule of power to a transitional government in 2014 under international pressure but the violence failed to stop and the country was left partitioned off. Currently the country is undergoing an internationally supervised transition, through the United Nations which is trying to do all it can to ensure that CAR benefits from its country’s abundance or diamonds, gold, oil and uranium, by helping to stabilize one of the world’s poorest populations. The country’s current leader an active peacemaker who was declared the winner of the presidential election February 2016 is seen as a crucial turning point for the country after years of sectarian violence. Doing business in CAR is extremely difficult and the projections of economic growth in the country is not promising. Foreign investors due to widespread corruption, regulatory hurdles and insecurity have shied away from investing in this turbulent nation. CAR is ranked 187 out of 189 on the World Bank’s ease of doing business index. Furthermore, CAR has the smallest financial sector in the Economic Community of Central African States. The limited access to financial services is a key inhibitor to economic growth with less than 1% of the population having access to bank accounts and other financial services. 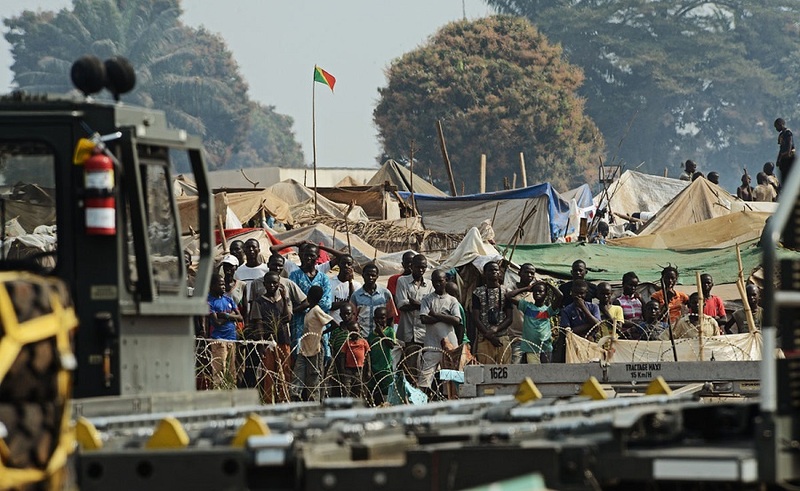 The Central African Republic has been described as one of the world’s most ignored emergencies with the UN stating that if more funds are not found CAR will become the largest forgotten humanitarian crisis of our time.